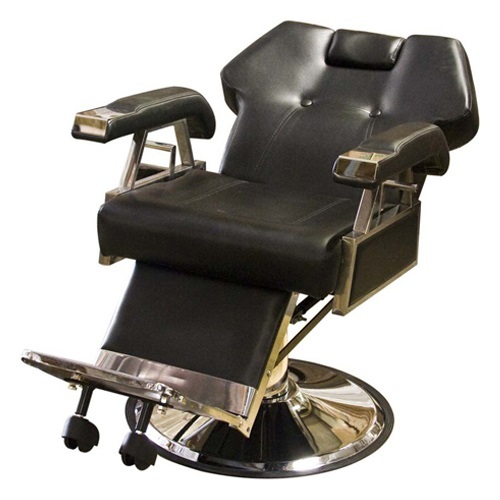 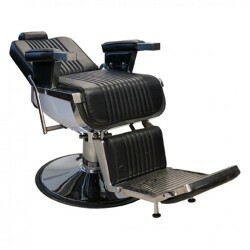 This luxurious hydraulic barber chair is a salon classic. 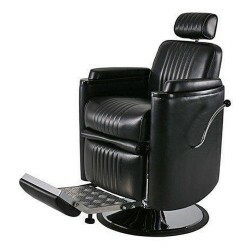 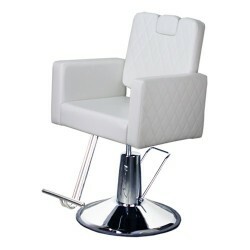 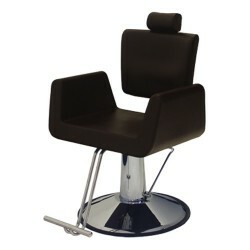 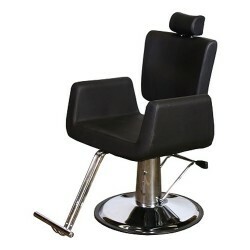 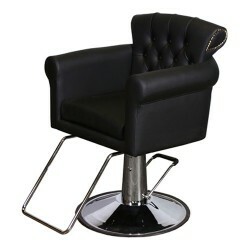 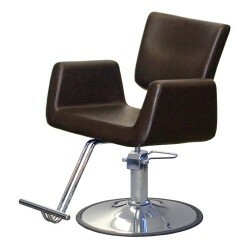 Both stylish and affordable, this barber chair is perfect for any beauty salon, barber shop, tattoo shop and more. 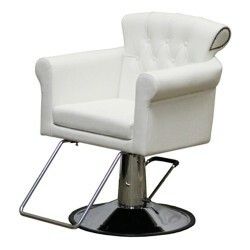 Deluxe leather with premium foam padding ensures your clientele is fully relaxed and comfortable. 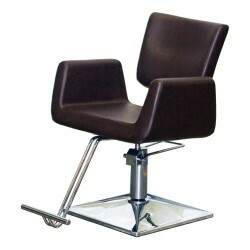 The chrome polished hydraulic foot pump easily raises and lowers the chair. 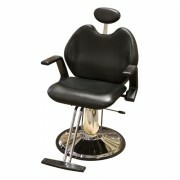 Wide round chrome base keeps the chair stable while maintaining a classic appearance. 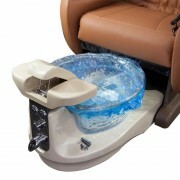 Elegant foot rest properly positions the clientele, adding even more comfortability. 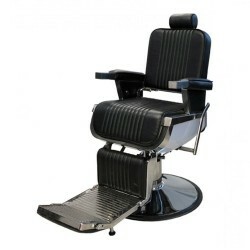 Our contemporary Deluxe barber chair will look at home in any salon. 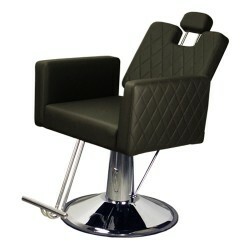 Thick luxurious cushions and an adjustable padded leg rest allow for maximum client comfort. 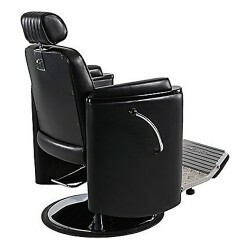 The hydraulic lift system makes for easy height adjustments.